Iliotibial Tendonitis is an inflammation of the tendon that connects the iliotibial band to muscle or bone. It is a common form of repetitive friction irritation. Iliotibial Band Syndrome (ITBS or ITBFS, for Iliotibial Band Friction Syndrome) is a common thigh injury generally associated with running. Additionally it can also be caused by biking, hiking or weight-lifting (especially squats). 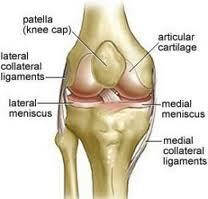 Iliotibial Band Syndrome is one of the leading causes of lateral knee pain in runners. The iliotibial band is a superficial thickening of tissue on the outside of the thigh, extending from the outside of the pelvis, over the hip and knee, and inserting just below the knee. The band is crucial to stabilizing the knee during running, moving from behind the femur to the front during the gait cycle. The continual rubbing of the band over the lateral femoral epicondyle, combined with the repeated flexion and extension of the knee during running may cause the area to become inflamed, or the band itself may suffer irritation. IT Band Syndrome: ITBS is one of the leading causes of lateral knee pain in runners. The ilio-tibial tract (ilio-tibial band) is a superficial thickening of tissue on the outside of the thigh, extending from the outside of the pelvis, over the hip and knee, and inserting just below the knee. The band is crucial to stabilizing the knee during running, moving from behind the femur to the front while walking. The continual rubbing and friction between your IT Band and your knee or hip bone causes sharp pains at either side of your knee or the side of your hip. IT Band Syndrome is usually caused by increasing your running or biking too fast and/or with bad form but is also associated with weight-lifting (standing squats), court sports (squash, tennis, handball, etc) and even pregnancy. Aside from training habits, anatomical abnormalities or muscular imbalances may result in ITBS; for example, high or low arches, overpronation of the foot, bowlegs, or weak hip abductor muscles. While pain can be acute and quite painful, the ilio-tibial band can be rested, iced, compressed and elevated to reduce pain and inflammation, followed by stretching. Massage therapy may also be beneficial. Using a foam roller to loosen the ilio-tibial band can help prevent and treat pain, although the treatment itself can be very painful to some. Also, an ultra sound machine can be used around the area to relax it, followed by a machine that utilizes electrode stimulation to the area to further relax it. This can result in more comfort and/or a wider range of motion. Consulting with a doctor or referring to a registered physiotherapist or chiropractor are the best solutions. Dr. Michael Horowitz offers a 5-Step process to successfully treating Iliotibial Tendonitis. He can help evaluate & diagnose your condition and recommend the best course of action for you. Call Vancouver Orthotics at 604-737-3668 for more information. What is the most effective treatment for iliotibial tendonitis? What exercises & stretches do you recommend for iliotibial tendonitis? What other symptoms are most commonly associated with iliotibial tendonitis? What shoes are best for iliotibial tendonitis? Where can I get medical hardware for iliotibial tendonitis?